Allerliebste. ich bin Tausende von Meilen gegangen. Ich habe Flüsse überquert, Berge versetzt. Ich habe gelitten und ich habe Qualen über mich ergehen lassen. 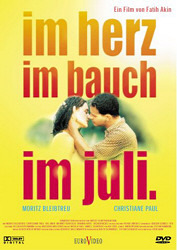 Ich bin der Versuchung widerstanden und ich bin der Sonne gefolgt, um dir gegenüberstehen zu können und dir zu sagen: Ich liebe dich." 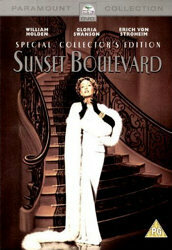 The story is about Norma Desmond, a long-forgotten silent-movie actress who has not been able to make the change to the sound era. Much of the story is based on facts making it one of the greatest stories ever told and one of the best filmed movies ever, a true classic. Some of the actors are actually long forgotten silent-movie stars themselves. 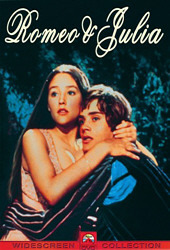 The movie was rewritten as a musical by Andrew Lloyd Webber in the early 90s. I haven't seen the musical but do have the two USA recordings. These are both great, some voices are better on the gray album, some are better on the orange album but all in all, when you only want to buy one, get the gray version, it's definitely best. When you would like to know more about the silent-movie era, I would suggest to look at books about Erich von Stroheim. There are two great books, just drop me an eMail and ask for the titles. He himself was a very complicated person and not easy to work with but he was one of the main directors during the 1920s. 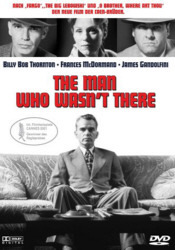 Most of his movies have been destroyed, either by time or by the studios but some survive and have been made available on DVD. By the way, he plays the part of the butler in Sunset Boulevard. When you're in for a good laugh: you've got to watch this movie! 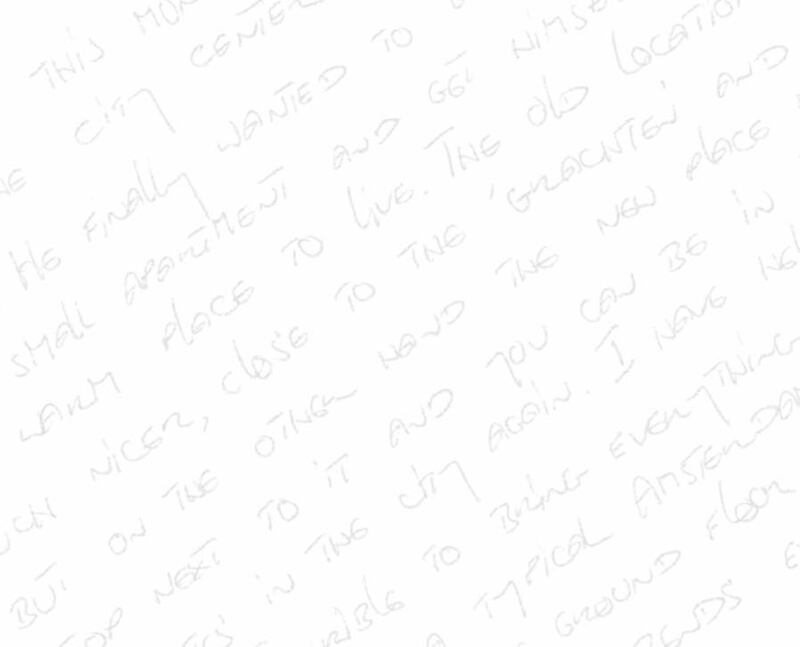 The story of Henry, June and, above all, Anaïs Nin. On how they met, what happened and how they all went their own ways again. It's all about lifes touching each other, people interacting, dreams, hopes and reality. Great pictures, the movie really brings you the moods and does not just show them, the music, the characters, Paris in the 1930s. Great movie and based on a true story. 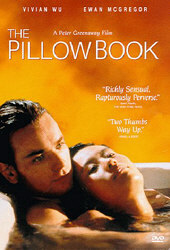 The only movie I bought on VHS when it came out and immediatly bought on DVD when it became available. The first Peter Greenaway movie I watched was The Cook, the Thief, his Wife, and her Lover. The movie is slow, got a great atmosphere, excellent photography and details and takes nearly 3 hours to tell the, disgusting, story. It was already that first time that I wanted to know more about Greenaway and his movies. Unfortunately there is not a lot of information about him and as the movies are typical art-house productions, they don't screen often and when they do, only once or for a very short time. I was lucky enough to watch it on screen in Amsterdam as part of a cinema's "last-week-to-visit-us-before-we-close-so-watch-some-of-the-best-movies-ever-made" deal and I did not regret it. On the big screen the pictures are even more impressing and the music is even better when it's all over you. Anyway, let's get to the Pillow Book. Update: a few weeks later I actually saw that Amazon UK sold the DVDs, didn't have to think long and ordered The Pillow Book, The Cook and 8 1/2 Women. The last movie has some great pictures, the story however is very simple and the movie itself is not very elegant but I haven't regret buying any of them and well, the pictures in 8 1/2 Women are definitely worth watching! Get them! The Coen brothers know what to do in order to get what they have in mind. 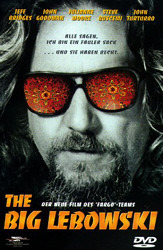 The Big Lebowski was filmed in colour and just a was basically just a fun movie, the next thing they do is to bring out The Man Who Wasn't There: black and white (well, filmed on special colour stock and copied onto specially treated black and white material), with a serious story and with an extremely serious atmosphere. This movie is just amazing, the humour is hidden in the text so you'll have to listen carefully, pay attention to the details and watch it more often. Billy Bob Thornton has changed beyond recognition, some of the pictures are excellent and the entire mood of the movie is very dark. Vienna just after the second world war, divided in 4 sections: the British, the French, the American and the Russian zones. The city is basically one ruin after the bombing of the british, the attacks of the russian artillery and the departure of the German troops. Food is scarce and medicine impossible to get unless... you have enough money or other valuables to pay for your daily requirements on the black market. 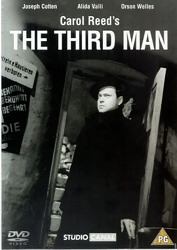 The Third Man is the story about that black market and as I'm living in Vienna and stongly interested in history and playing a tourguide for my visiting friends, I've wathced this movie over and over again, been to an exhibition on how the movie was made and have promised myself over and over again that one day I'll make it and go with the Third Man tour in Vienna where they show you the places where they played the movie, also underground. Already recognised a great many places but to get the picture complete the professional tour would be a good thing to take. Well, sometimes I'm just in the mood for some theatrical classics and this is the movie to watch in such cases. Definitely a great classic! 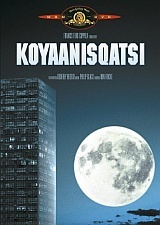 This first part of Godfrey Reggio's "Qatsi"-trilogy is all about the earth and nature and how man changes them. No dialogues, just pictures and Philip Glass music. Best would be to watch this movie - or is it a documentary? - on big screen and have yourself surrendered. At times nice and pleasant, but all in all very disturbing. The second part, Powaqqatsi, is about the people, people in their cultures, people and their cultural differences. Oh, and when you're going through my collection, don't forget to take a look at some movie stills from those old movies and maybe you're able to help me out and find the film titles.